Reflecting on the ending year of 2005, it has not really been one of the best in the world you are all aware of the events that took place so I'm not going to bore you with them here . But I think for Libya it has not been that bad, it is slowly but surely patching up its relationship with the West in general and the US in particular. I still am not sure if that is such a great thing or not but anything that would lift it out of isolation and get it back on its track is good , details can be taken care of later inshallah. On the other hand,2005 has been cathartic for me as I've had some closures and made tons of new friends among bloggers and readers. I've met some bloggers in real life also ( Arab and non-Arab) , you know who you are, I'm not going to talk about that , but I would like to say that the bloggers I met where even better than I imagined they would be. The blogosphere is a nice community. I just wish I had the opportunity to meet the others, and I'm planning to meet some more in 2006 !I also wish the anonymous Libyan readers would email me as well. I love you all . In Libya we do not have a tradition to celebrate the Gregorian calendar New Year, but we do wish people and each other a Happy New Year. So while I will not be partying I shall be relaxing at home with family or chatting and talking to friends online ( note for those who left me offline messages on yahoo or invitation to chat, they may have been lost as my line dropped a lot these last few weeks). Our own Eid al Kabir ( great feast) or Eid al -Adha which comes right at the end of the Hajj will be in about ten days time, while the Muslim New Year ( Hijiri) should be in approximately one month...which is a low key affair. Here are some Islamic holidays. However, I would like to leave you with a compilation of my most popular posts since I began blogging , at least this is what the stats tell me are the ones that you guys keep reading over and over or whoever lands on my blog reads. Milud, the Prophet's Birthday in Libya.. The trip to Syria series One, two, three , four .....and life in Syria... since Syria has been thrust on the international scene it is a popular topic . The Libyan system of governance ( in theory)... and Thea's impression . Italian occupation 101 ...where most who searched for Omar Mukhtar got that link there are 3 posts but this one is the most linked to I guess no one wanted to know about the genocide and concentration camps . Christmas trip to the ME...Egypt, Syria, Jordan..
Highlander's blog in Spanish he he he and in Japanese ...I'm blushing, wish these readers would get in touch with me. Tour of old city in Libya and a synagoge..
Is there humanity or are we all monsters... it's a pity that DNA pulled the plug :( - hope he is reading this and decides to blog again or at least let us know his news. The purpose of blogging..and blogging in the Arab world. Katrina and lessons in humanity..
Ramadan TV series ...sequel coming up soon. If all the above are not enough , I'm sure you will find something to your taste in the sidebar. In some of my older posts the comment section had not been activated. If you wish to leave a comment about any of the above please do it on this post and point to wich title it refers, it will just make it easier to all of us :). I always reply to comments by the way. Feeling a little bit blue, I rummaged through some old diaries and came up with this entry . I recall how good it felt to write and wished to share it with you. Now let me tell you about a summer night in my beloved country. In Africa summer nights are enchanting so imagine how it could be in an African Arab country on the coast…you feel you have stepped into wonderland ..as if a magician has used a big wand to make everything just perfect ! As soon as the sun sets very late at around 8 PM a dark purple light gradually fills the sky and suddenly everything seems somehow dimmer…then the night in all its glory is upon you . I'd be sitting in the swing in our garden enjoying the light summer sea breeze and almost falling asleep with the pleasure, when slowly I would realize that there was a silence within the silence. Truly it is a blessed piece of land. My area is comparable to a village. It is so silent, yet so alive. I could hear the happy trills of the women at a wedding in the 'street ' behind us . The dogs who were resting throughout the day start to roam and cats are looking for a prey and a bit of fun. People are sitting on mats in their own gardens or backyards sipping green tea and eating watermelons . The crickets are singing ..you can hear all that yet the silence is overwhelming so much so that I have the impression that the clicking sound made by my keyboard is terribly disrupting to inner peace. Yet I continue to write because apart from telepathy , e-mail is the quickest way to convey a message. As the night gets darker, the sky is sapphire blue and the stars illuminate everything ..there are no street lamps ..and so you really feel out of the century ....out of time. The palm trees make a lovely curtain to the velvety smooth sky. I have the impression that I could touch the stars and hold them in my little hand if I wish. The night here is so beautiful it feels like a blasphemy to think otherwise. Then the smell of the earth rises up to your nostrils …you could almost think you were in heaven…At such times I remember even more God's grace & mercy upon us and fall down on my knees to thank Him. I have learnt that you do not pray to God when you are unwell or want something..you have to remember him even when you are full of happiness to thank him gracefully for his blessings. The national carrier of Libya since it was a kingdom. 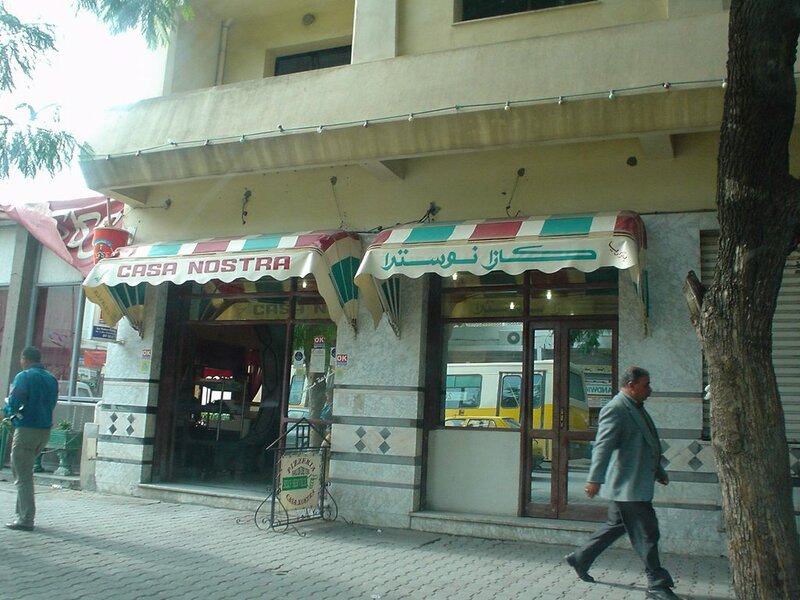 Whenever I recall LAA I’m flooded with warm childhood memories of travels and adventures from Tripoli to other lands. LAA has a distinctive logo which won a prize for best logo back in the 70s. LAA won best airline in 1978 only to go downhill following the implementation of UN and US sanctions. 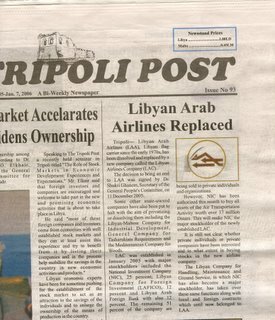 I was a bit saddened to read this month (see photo) that it will be soon replaced by the Libyan Airlines Company : LAC. 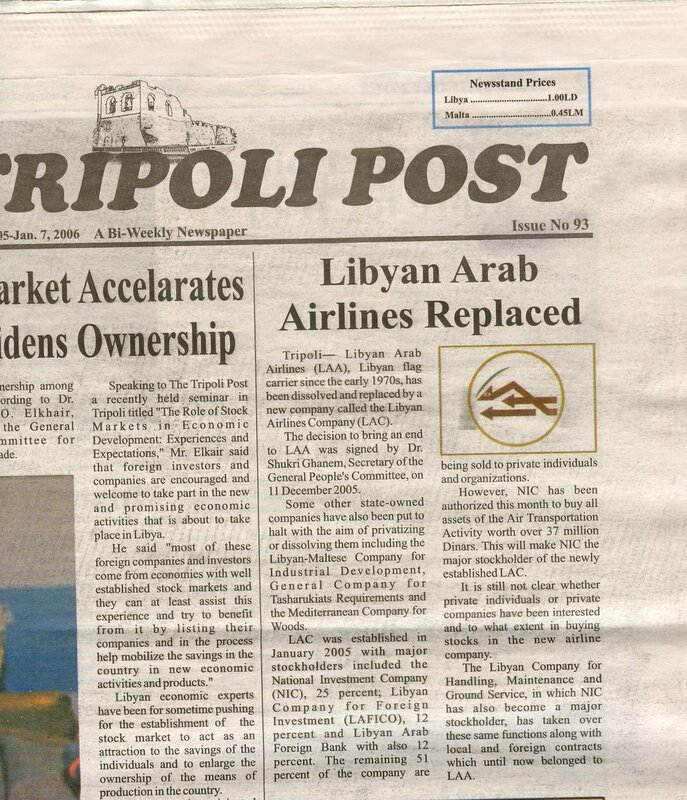 Maybe I’m just being paranoid, because anyway in Arabic they always used to say Libyan airlines. Whoever remembers what the logo meant in Arabic please forward it to me . I know it was something about a gazelle overtaking someone ..but I’m not sure if it was the competition or what. I will look it up but I appreciate if someone already has the answer. I hope they keep the logo it really is unique. We will miss you LAR. Note : other Libyan carriers are Afriqiyah and Buraq. ....it seems even the world is taking a break from killing sprees ..so while this lull lasts I would like to wish you all a Merry Christmas. 1. I believe in aliens , i. e extraterrestrials, but please behave as if had not said that; I'm really not the tinfoil hat type ..
2. I dream of having Condolizza Rice's job , just don't tell her that please. 4. I like to think that I'm an expert bellydancer - but it's probably only wishful thinking .. This recent article ( from Aljazeera) about the phenomenon of speaking a mixture of Arabic and English that is sweeping a certain strata of the Jordanian society has brought to my mind earlier conversations and viewpoints discussed with peers in the past. But first let's see what “Arabizi” is? It's a contraction of the word Arabi-Englizi (Arabic -English), coined by Jordanian youth. 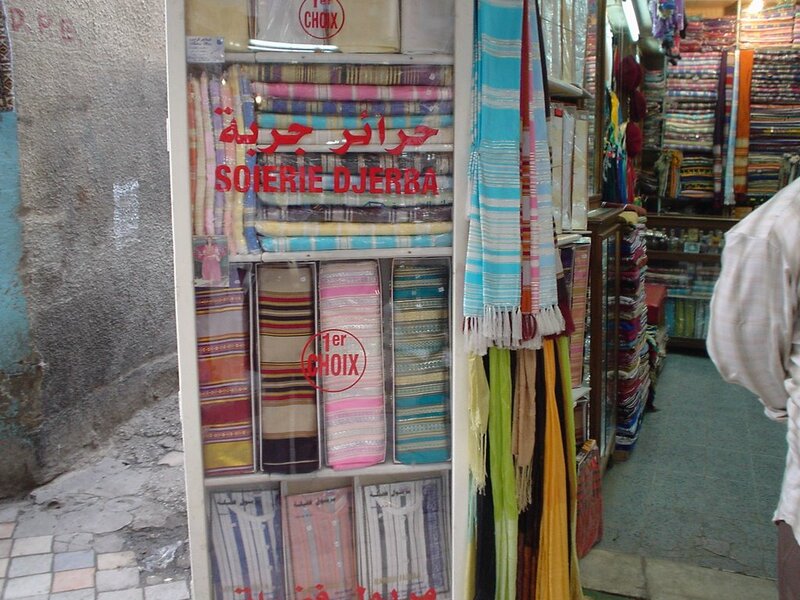 "Mixing Arabic with foreign languages has long been commonplace among Western-educated elites in Arab countries". This was especially evident in Lebanon where your status was proportional to how many French words you managed to put in one sentence. I'm talking about this with firm experience. If I spoke generic Arabic with no accent where my interlocutor could not place if I was from the Gulf countries or other non-oil Arab countries ( therefore poor) I would be treated differently. I decided to try it for myself. As soon as I added phrases en Francais to the conversation, the attention span would pick up and the mood would become friendlier. In this way I have the seal of approval of belonging to an 'elite' of some kind. 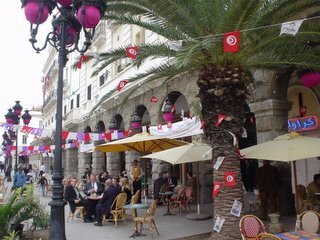 In Algeria it is different, although most of their conversation is strewn with French it is not really a sign of elitism but rather mostly due to the protracted period of French colonialism - since 1830 - which tried to eradicate that country's heritage and effectively make it a part of the Republique. Tunis is midway between both, a relic from the colonial era, but also a status symbol for the westernized people. "But in Jordan, a poor desert country" states the article” the sudden popularity of Arabizi reflects deep changes in society since the early 1990s". Another word synonymous with Arabizi , is Franco-Arab, this word was popular among my parents' generation where French was more of an international language especially among the cultured elite. It also covers the earlier mixture of Arabic and Western music which created many interesting hits which our parents enjoyed as teenagers and youth. This hybrid music is now of course 'normal' and we see it not just between Arab and western music, but western and Latin American, or even Asian. A good example is the new punjabi beat, or some of Shakira's hits. It's great for dancing. I'm not sure about that, because we have always been watching American pop culture. Moreover, I don't agree that Arabizi or other such manifestations is any threat to Arabic language or culture. Arabic in my opinion is a rich language, with a continuous potential for growth (I won't even get into the argument that it is the language of the Koran and hence its longetivity is guaranteed, because that is faith based). Hybrid language™ ;) maybe new to Jordanian youth in general but I'm sure it is not new to graduates of science and medical schools in many Arab countries. For example in Libya, medical college students use it not as a cultural expression but out of necessity because their syllabus is in English. But the fun thing in Libya is that they end up Arabizing the English language or vice versa, and I'm not the first one who brought that up in the blogosphere. Dunia which calls it “Arabeng” has posted about it here , let me quote a hilarious extract from her post. A long time ago I tended to use a hybrid language with my peers unconsciously but a few weeks in Libya knocked that habit out of me because I would actually be looked down on as someone who was trying to show off. Using a hybrid language then could also be threatening enough to destroy a relationship. A vivid example is that of my friend's cousin R. R is an MD married to an officer. Every time she meets her friends in social gatherings or would talk on the phone she would sometimes use medical expressions in English just out of habit. Her husband (who obviously has insecurity issues - sorry R if you're reading this) would never pass the opportunity to denigrate her by saying 'oh we know you are a doctor and can speak English, stop showing of'. As for me I consciously started using a generic Arabic, and only lapsing into hybrid with those who would be of the same mentality. 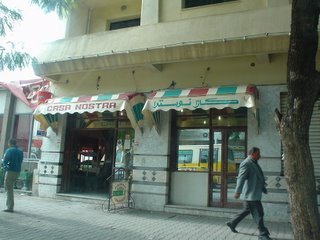 Of course if I'm in Lebanon or at any event in which Arabizi or Franco-Arab or any hybrid Arabic is preferable and more advantageous socially I would not hesitate to use it to further my cause or blend in, even though I believe to be fully capable of convincing someone of my point of view in classical Arabic. You love your country and you know it is beautiful and contains wonderful and magical site, yet because you live in it you are used to the presence of these treasures on a day to day basis. So once in a while when you think deeply about it you realise how lucky indeed you are . I am one of these people and have at times taken for granted all the gorgeous yet familiar landmarks in Libya. I would like to share the most recognised of them international. Did you know that there are at least 5 registered UNESCO world heritage sites in Libya? Many bloggers such as Khadijateri , Fatimaslibya, Redenclave, have shown their photos of some of these place. But if you want more here is an official site, with tons of photos and relevant links. If you have been to Libya ages ago or recently, have photos, love Libya and want to share them with us why don't you put them online and send the link in the comment section ? I'm sure everyone would appreciate it. Bird flu: is there a reason to worry ? In the past few weeks there have been rumours of ‘bird flu’ contamination in Libya, with accusations and disclaimers flowing back and forth .Of course upon hearing that there is even a remote possibility that this could be true and some poultry is indeed contaminated, I started to worry. Worrying is inversely proportional to knowledge, especially when world wide press and so called experts warn of the next pandemic , whipping our collective fear. What does that mean ? simply that because I know nothing I’m just as likely to be scared. The logical step was to tell my GP about this and ask his advice. He was very cool about it and said ‘this is rubbish , you shouldn’t worry, bird flu does not affect humans’ . Hmm I’m telling myself, that’s comforting ..so what is the fuss about then? Apart from the evident loss of poultry stock , which is very saddening it is not the human tragedy we have been led to expect. I wasn’t satisfied by this answer, dismissing my fears as if they were idiotic is not ok. So I tried to do a little research by myself to allay these fears and fill the lacunae. I’m sure you have read it all somewhere but I wish to add my 2 cents. So far that does not sound bad, especially that the individuals most likely to fall sick are “people who have contact with infected birds or surfaces that have been contaminated with secretions or excretions from infected birds”. The H5N1 strain, reportedly the most deadly is the one being contested locally, so an outbreak could be fatal , the WHO has nevertheless reported only 130 cases in the world since January 2004. Birds migrate, and poultry is imported from abroad so these events cannot be hermetically controlled . Currently cases have been confirmed in Asia and Europe . The White House it seems is testing the federal readiness for such an onslaught with a sophisticated ‘drill’ and experts are ‘watching’ … “Because these viruses do not commonly infect humans, there is little or no immune protection against them in the human population”.There is no vaccine and the antiviral treatments are expensive and not always targeted at the particular virus. So may God help anyone who catches this virus. So now I’m not worried anymore, my GP was right. I figured out that the lowly common flu is just as deadly in the right environment. I have an equal chance of dying of cancer or any other disease anyway. Death is inevitable. If bird flu is present we should do something about the poultry infected and take no risk with the humans involved in their care. Basic hygiene/sterilisation procedures in farms and laboratories should do the trick. As for imported poultry for consumption well what are the quality control and quarantine people doing ? They should guard our borders, and I’m positive they are doing this in view of all these leaked rumours. As for migratory birds? You cannot do anything about that . So I’ll continue eating chicken and turkey and fowl, there is nothing that fire and microwave cannot take care of. For further info check the bird flu Q&A here, it is jargon free and comprehensive. I had to divide the post into a third part as I've been having connection problems these last few days in Tripoli due to the rain and wind. The satellite dish almost flew off our roof this year and each time it rains there is so much static on the telephone line that there is hardly any tone. What was I talking about ? aaah the Tunisian capital is a charming little city, please have a look at some of the streets. 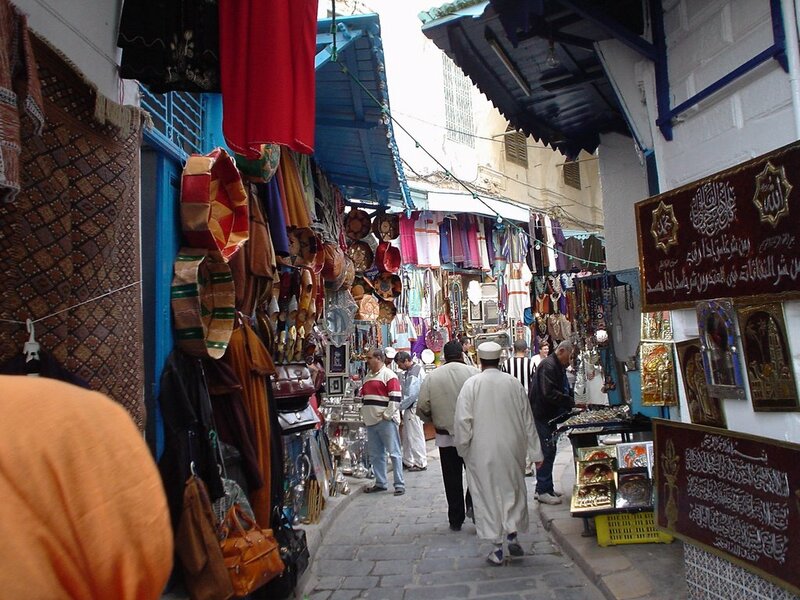 In each country I go to I like visiting their main ‘old’ market, well here is the entrance to the medina/souk .Just like we have one in Tripoli only more commercial , i.e. geared for tourists perhaps ? I loved the antiquarians, but I have no way of knowing if those are real antiques or not so I did not buy any. Their traditional clothes carry a lot of similarities to ours, witness those beautiful silks here.. 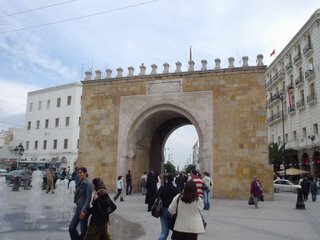 So I'll log off and let you enjoy Tunis. As I was saying, this trip to Tunis was my best one so far. 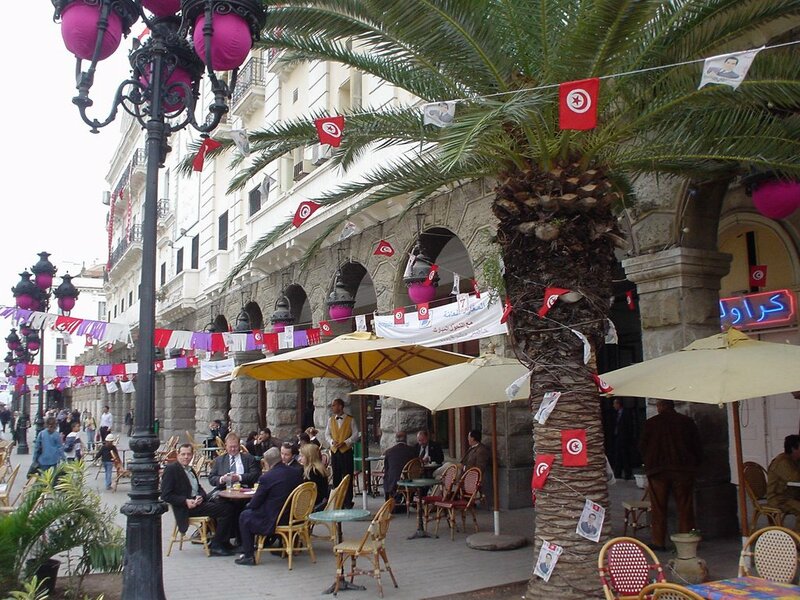 I really had a great time enjoying the famed Tunisian hospitality. 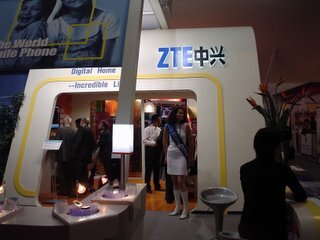 But first let me just wrap up the rest of the WSIS exhibition. You’ve probably heard a lot about it on the news, and Tunisian bloggers have covered it quite extensively. I was thrilled to see the unveiling of the cheap laptop to be used for ‘third world’ countries. When produced – hopefully by next year – it is supposed not to cost more than 100$ . Many countries have already pledged funds for this. I’m just wondering will the disadvantaged really benefit from this technology ? or will it end up as a gadget to be shown off by those in power and their offsprings in the poor countries at which this is aimed? 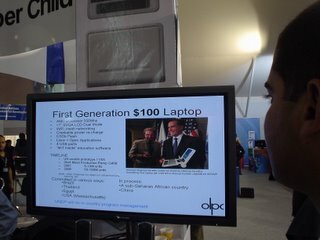 I mean imagine you have a sturdy, portable tiny computer which can rewind manually when you need electricity and which is able to run basically the programs we are used to including browsing the internet all for approximately 100$? Hell I want one of those for my self why should I go buy the state of the art one for 3000 Dollars , then have to take an insurance for fear that it falls or gets stolen or the new Dell Inspiron ? At the exposition the participants were asked if they needed a hostess for their stands …to make things look nicer and more attractive I guess ;) well look at this gorgeous Tunisian babe. While I was taking a break at the cafeteria this girl was talking with her colleague then a Tunisian man came over to them and told them why are they dressed like this they should cover their legs and charms as the other men were looking at them in a bad way. She replied “ well it’s their problem not mine . I’m fine like this and this is the uniform of the company that I’m representing and I’m working for them now. If I have pretty legs it’s none of their business”. The guy was flabbergasted, he had to apologize saying that as far as he was concerned they were free to do what they wanted, but he was just warning them what most of the Tunisian guys were thinking behind their backs, and he was afraid for their reputations. I was under the impression that Tunisian men were permissive, it seems I was wrong. Talking about reputation here is a good comparative post from an Egyptian blogger Freedom for Egyptians (hattip Programmer_Craig ). She tackles women’s reputation and its importance in Egypt versus the US. Please remember she is talking about Egypt not about other Arab countries so do not make hasty judgments. Another interesting item I found at the exposition ( yes we are still talking about it ) was a kiosk : called the ‘freedom toaster’ – no not related to freedom fries. Do you give up? Well in South Africa an entrepreneur Mark Shuttleworth came up with the brilliant scheme of installing these little kiosks everywhere. The idea is that they contain open source software which is distributed for free. You only bring your blank CDs and burn/download it fast inside it . It can ‘toast’ 3 CDs at a time. I think that is a swell idea because if you have a slow dial up and it takes you ages to get this stuff online you can do it in a couple of minutes here for more details chexk their website . I relished getting my own CDs though I’m still using Microsoft and Windows XP , but it’s good to know I have alternative choices. Did you know that the the UNDP supported by Sakhr ( an Arabic software development company) had launched project ICTARB which means 'get closer'. It aims to help the blind and those with special needs to get involved in ICT ? I think we need more of this in the Arab world. The EIA ( Energy Information Administration) has recently released an Arabic version of the International Energy Outlook 2005 which forecast energy consumption. Well it 's about time there is an Arabic version especially that a very large share of the oil is in the Arab world. Anyway according to this report the annual consumption of oil will increase from 78 million barrels per day in 2002 to 119 mpd in 2025. Moreover, the US demand for oil will increase to 28 mbd in 2025. Please check the tables in the link provided above if you are interested. So why am I bringing this up ? simply because if these forecasts are accurate. Then not much will change 20 years from now, the US governement will be forced to accomodate those entities strong enough to impose their will on it with the democratic process and the lobbying at the expence of the average American John Doe in the name of "special interests" which will continue to poison lives. i.e. Middle East unchanged with all that this implies. I has been official for a long time that I'm a Harry Potter fan, so I when I saw this quiz on Sandmonkey's I could not resist .... do you want to check it too? Have been gone for a while since Tunis right? well sorry about that, was just too caught up in a lot of work - yes I work for a living you know :) not always blogging ! Anyways I wanted to say that I am officially back from Tunis. It was a lovely trip, I met many interesting people. A few of them I'm sure will become friends for life. I've been too Tunis several times before but this trip was one of the nicest, despite the internet connection that kept 'dropping' in my hotel even though it was the week of the 'information' summit. Lool it was a crazy, busy time but very enlightening. I'll blog the second part a bit later. I first wanted to thank whoever had enquired about my absence ( special reference to Twosret :)) . No I have not quit blogging ...just did not feel like it. What has been happening in the Libyan blogosphere ? hmmm let's see Smokey is still AWOL . But then we know by now she works in bursts of excitement. Khadijateri has told us about Jenna's freckles and attending a wedding with overexcited teenagers, about finnaly getting tiles for her new house but also about the tragic death of her friend's husband recently ( driving in Libya is a HAZARD). Redenclave is 'enjoying' the cold weather in Turkey. Do go and check her photos and cheer her up. Tareq has been silent for a month now . Is he busy too with the new house ? where are you Tareq? 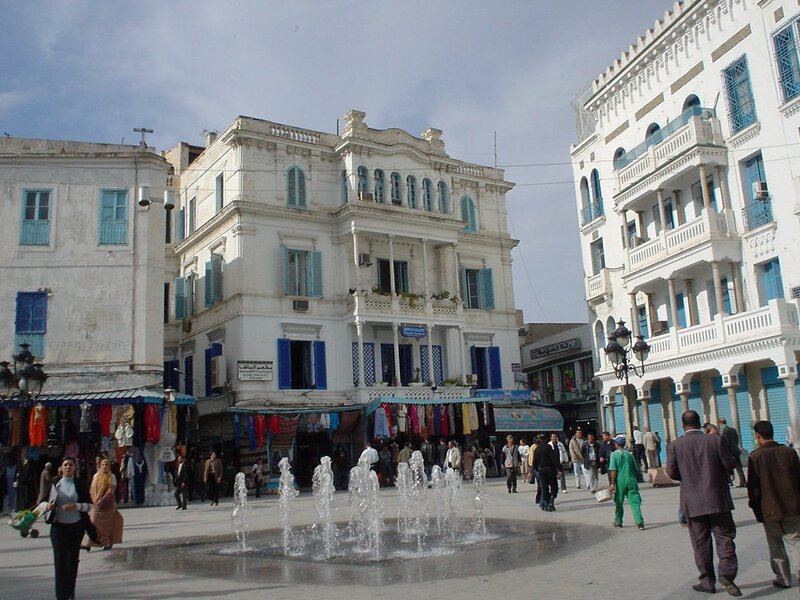 Tyenness has also moved to a new house and has no internet access there , so she reports to the blogosphere sporadically from those famous Tripolitanian internet cafes, all her posts are cool but my favourite is the Libyan folktale...please go read it ! Hibo is telling us about the recent tradition of 'singing tents' i.e. tents specially set up to gather a wide range of Libyan artists who will perform to either live audiences or for TV. The songs/lyrics are usually of great quality. This tradition has become a must in Ramadan and I believe that this was picked up by other Arab countries like Lebanon and Jordan and Egypt -with their particular add-ons- were Ramadan evening are spent eating listening to singers , drinking/smoking sheesha etc.. ( those elaborations do not take part in the Libyan version which is less materialistic- no offense to anyone). But if you are curious like me and click on Hibo's sidebar links :) you will discover that she has another blog - well done my dear - hip hip hurray for Libyan female bloggers. Hanu is celebrating the 7th annivesary of her wedding - check the story of the lamb with a pink scarf - alf mabrouk habibti. Nura has moved to Canada and is still settling in, we hope to hear from her soon. We love you Nura ! Barnita from India is still very busy ! Oh and last but not least, do you recall when I was wondering aloud about a Libyan blog aggregator? Well we had been chatting about it with Smokey a while back, but it was ever-active Hanu (thank you) who actually took the initiative and created a Libyan Hub for us. It has been up for a while but we had not officially shared it yet.You are all welcome into our combined piece of Libya. It's still humble but a lot of fun ! - Redenclave I'm sure would love to put the link up ! Thanks Haitham for the suggestion, I may still take you on it ! This post was supposed to be short and sweet, some kind of comeback but has turned into a marathon so I'll stop here and start working on the next one . I'm sure you'll have fun with all the links..should keep you busy .